Stevenage youngster Fejiri Okenabirhie has become Eagles boss Danny Nicholls’ first signing after joining on loan from League One Stevenage. The 17-year-old striker scored on his Bedford Town debut last night (Tuesday) as Bedford lost 2-1 at Stourbridge. 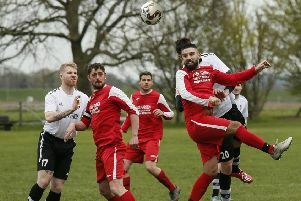 He put Bedford ahead on 53 minutes, but his goal proved in vain as the Glassboys netted twice in two second half minutes.